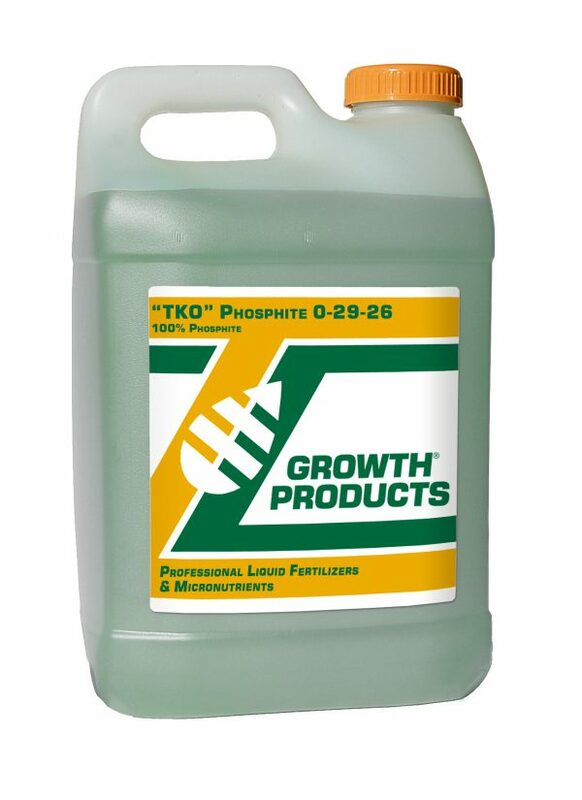 “TKO” Phosphite 0-29-26 is a concentrated P/K solution that’s highly beneficial to all types of golf and lawn turf and is also used extensively in the agricultural and horticultural industries. Phosphite itself is a form of phosphorus (P), which is an essential element in plant photosynthesis, root growth, energy storage and protein formation. Unlike other forms of phosphorus which can become bound in soil, the chemical make-up of phosphite makes it highly available to plants. When applied as a foliar spray, “TKO” Phosphite quickly enters turf through the leaves, crowns and roots. 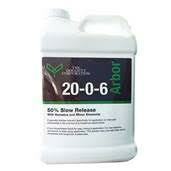 It moves through both xylem and phloem, showing its worth by quickly increasing root mass and improving turf vigor. Applications of “TKO” Phosphite have been shown to significantly reduce summer stress on greens, tees, and on other turf areas. Growth Products’ “TKO” Phosphite is a clear liquid that is safe to use and handle. It has a neutral pH and a low salt index. It is an environmentally friendly product that does not bind in soils. With “TKO” Phosphite, golf course managers do not have to worry about contributing to phosphate build-up in soil or about pond- and lake-water contamination.